Life can be unexpected. Vehicle accidents are never planned, and if they happen it can be stressful. Here at Complete Automotive, our goal is to help you by taking the stress of your damaged vehicle off your hands. With full-service collision repair, you can rest easy knowing everything will be handled for you with our top-rated customer service. Our Collision Repair Services are second to none. Don’t believe us? Check out our many five-star reviews on Google—our reviews reflect our level of service. We’ve achieved this level of service through consistent training, ongoing manufacturer certification, and many years of experience. If you’re looking for a service who gets the job done right, look to Complete Automotive. 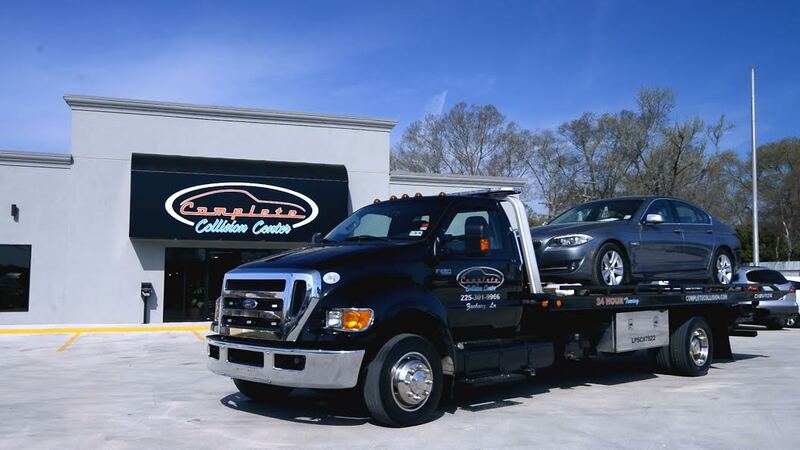 Complete Automotive has multiple locations in the Baton Rouge area. This means no matter where you are, we can help. With strategically placed locations, and the highest rated towing service, you can get help anytime, anywhere.